From the comfort of your keyboard, browse the wonders of the underground! 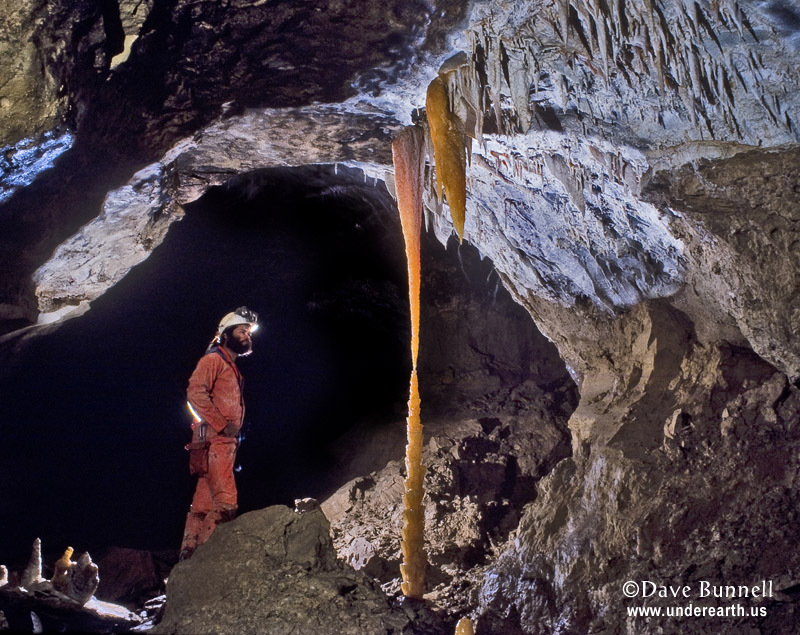 As a caver and photographer for over 35 years, I've shot photos in caves all over the world. This site tells the story of caves in words and pictures: what's in them and how it got there. Because caves are so diverse, I've split them into four underground realms. Grab three sources of light, a helmet, some sturdy boots, and your mouse, and have fun exploring - there's LOTS to see! Please treat all caves with respect as these fragile formations are easily damaged. Our motto is: "cave softly and leave no trace of your visit." For more information visit our Cave Conservation Page. These are the caves most people are familiar with. Dissolved out of limestone by acidic water, they can contain an astounding variety of speleothems, things such as stalactites and stalagmites, and much, much more. The original VIRTUAL CAVE, this section now has 46 "rooms" to explore. 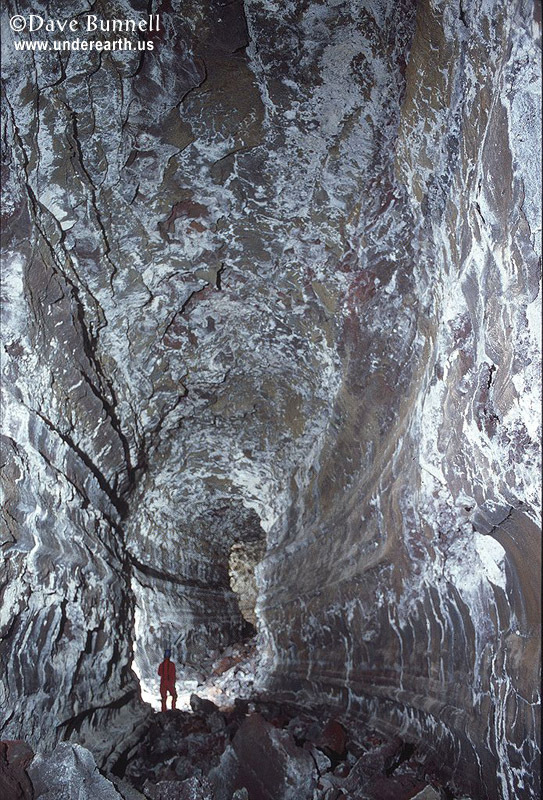 Caves can also be formed from flowing lava, and are called lava tubes. There are many fascinating things to be found inside. The Virtual Lava Tube has 45 "rooms" to explore. 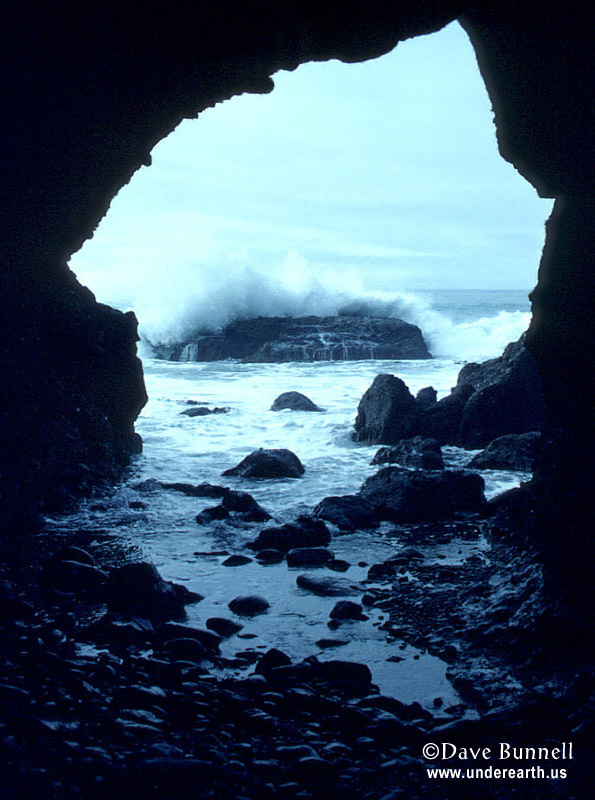 Carved by the power of oceans, sea caves may be gentle or treacherous to explore. Found along coasts throughout the world, they can get surprisingly large. Find out about them on the Sea Cave page. 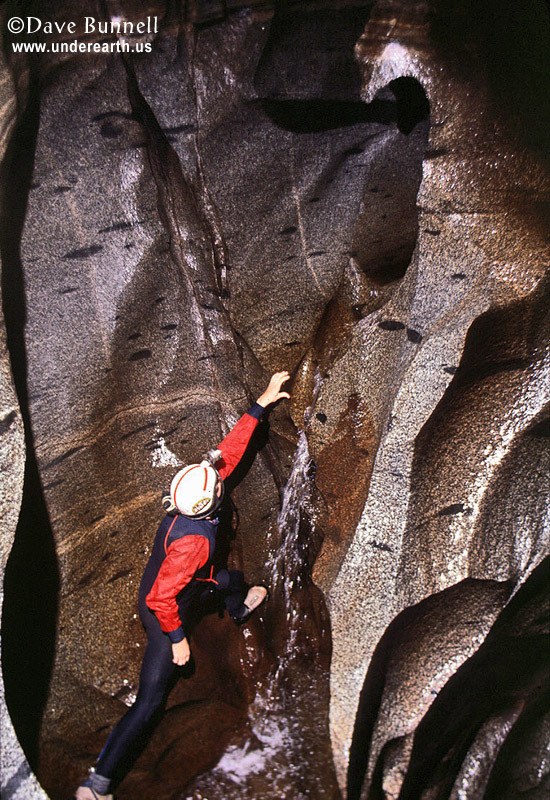 Caves may be eroded in a variety of rocks: granite, sandstone, even ice, by the power of water and wind-borne particles. Or water may simply melt passages through ice. These pages gives a hint of the beauty of these caves. Many of the images from the Virtual Cave have appeared in books, magazines, calendars, museum displays, or been spotlighted on other websites. I can supply a vast range of cave images from locations worldwide for editorial or commercial use. For inquiries, contact Dave Bunnell . Educators and students: you are welcome to freely use images from the Virtual Cave in school projects or presentations, whether printed or projected, without requesting permission, so long as they are not used in any media being sold or made for profit. For such use, contact me. Visit UNDER EARTH IMAGES for more cave photos and information on how to purchase CD-ROMs featuring a full offline version of THE VIRTUAL CAVE, and other collections of cave photos from all over the world. Find out about caves open to the public which you can visit on your next road trip at the U.S. SHOW CAVES DIRECTORY. If you want to visit undeveloped caves safely and respectfully, consider joining one of the many cave clubs or grottos sponsored by the NATIONAL SPELEOLOGICAL SOCIETY, an organization devoted to the exploration, conservation, and scientific study of caves. Want to learn more about taking good pictures in caves? Download our two page primer called "Cave Photograhy: Taking Great Pictures in Nature's Darkroom," in Adobe Acrobat format. Photos copyright Dave Bunnell unless noted otherwise.